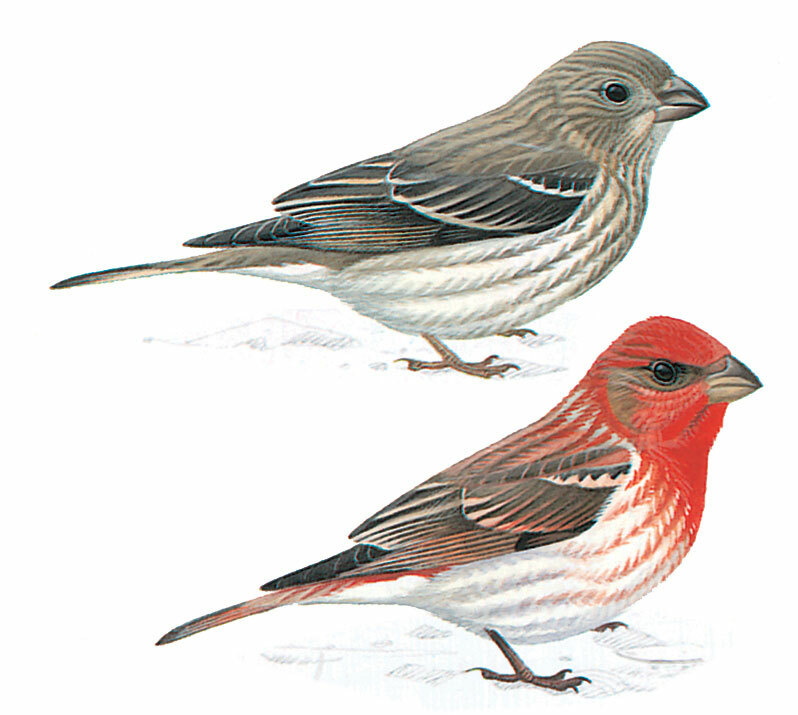 Finch with a fairly stout bill, stocky body and round head. Adult male easily told by red head, breast and rump contrasting with brown upperparts, Females, 1st year males and juveniles are dull olive-brown, lightly streaked above and more heavily streaked below, with 2 whitish or buffish wing-bars. Uniform head shows conspicuous dark eye. Often sings from prominent position, otherwise inconspicuous.